Adam has opted in to include a brief writeup before the MLS search box on each of his neighborhood pages. 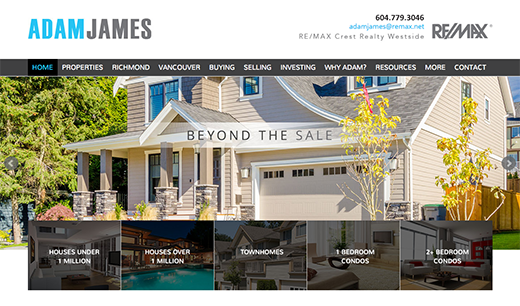 For instance, if you visit the CAMBIE page, you will see a brief paragraph at the top followed by a couple of community photos, all before the embedded MLS search box. Many websites simply embed the MLS box without an introductory paragraph, which is totally fine, but Adam’s method can be extremely beneficial with regards to search engine optimization (SEO). Is it an easy task writing unique and engaging content for each page? No. But content is king online, and Adam understands that. Ever been confused when reading Real Estate jargon? We don’t blame you, and neither does Adam. One unique tactic that Adam has employed is the inclusion of a glossary of “Real Estate Terms” right on his website (under “More”). This resource has detailed all of the important terms that you might encounter on your Real Estate adventures. Not only does this page offer something of a learning experience for many visitors, it also attracts web traffic from the Search Engines in a unique and refreshing way. Next time you’re searching for the definition of Conditional Offer or Encumbrance, you might just see Adam’s website on page 1 of Google. See the Real Estate Terms page. I am a home grown boy and a 35 year resident of Richmond. This has allowed me to specialize in the area by knowing my territory inside and out. I love my city and it is where I choose to live, be a community volunteer and supporter. Just because my specialty and territory is Richmond does not mean I stay within it’s boundaries. If your needs are elsewhere, I have a proven track record and am more than willing and able to go to the area you desire. 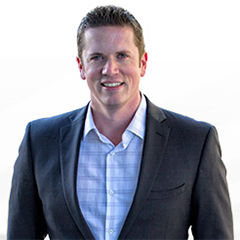 I manage to achieve the same quality of sale and knowledge by researching the area, listening to your needs and wants and by truly understanding the real estate market is what makes me completely versatile.